A dynamic system of practicing asana, linking breath to movement. This class is deeply inspired by bhakti, hatha, and community. We encourage you to sign-up at least a day in advance as this class does tend to be popular! Please arrive before the scheduled class start time to guarantee your spot in class. Should you arrive after the start of the class, and there is a wait list, priority will be given to those who are physically present. Thank you and we look forward to seeing you on the mat. Loved the energy but not the smell, overcrowding, and feet it my face. 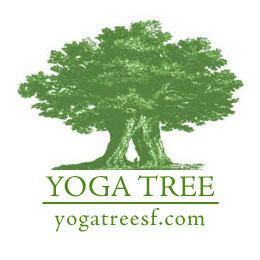 Yoga Tree Castro is the best yoga experience I’ve ever had. The instructor was wonderful, the atmosphere felt like a true community, and the class itself was a workout! Wish there were more adjustments. No clue what the chants were that she was saying. Great class. Gets super full so get there early! The class was way too packed! There was no space mat to mat. People kick into each other a lot. Yoga is supposed to be meditative. Somehow, this class feels like another massive production, and revenue focused workout class. Bad: Too many people in the studio. Tiny space for each student. I couldn’t enjoy it because I have to constantly worry about being kicked/touched or kicked/touched people behind and in front of me. It doesn’t smell good throughout the class. Bad air quality. Good: Music and instructor was awesome. No blocks available. Too packed. More hands on adjustments please! Wish she explained the prayers before telling people to repeat her. Wish there were more hands on adjustments. Half the time the helpers just watch you and its awkward. Nat's class, as always, was perfect, soulful, and sweaty. Best yoga class I've ever been. Wish the helpers would do more adjusting. V emotional class with singing that brings it to next-level soul connection. And great programming with interesting, non-basic poses.